Our Purpose Is Your Smile! Want a wonderful, engaging, healthy smile? Make our dentist in Shawnee, OK, a member of your healthcare team! Our team at Shawnee Dental would like to welcome you to our practice! 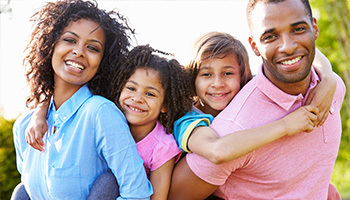 Our staff and team of doctors, Dr. Jennifer Koonce and Dr. Brandon Loeser are committed to providing you and your family comprehensive dental care in our comfortable office. Using state-of-the-art technology we are equipped to care for all of your dental needs and take pride in helping you maintain or achieve your oral health goals. Great oral healthcare starts with regular checkups, routine examinations, and digital x-rays. You can feel confident in our dental team who have placed numerous dental implants and use leading-edge methodologies during all implant procedures. Transform your smile with dental crowns, bridges, teeth whitening and more! Have little ones? Get them in a solid oral health and hygiene routine with the help of our pediatric dentist! Advancements in dentistry have enabled us to become more efficient, proficient, and precise as your dental providers. Our mission is to stay on the edge of all technological processes, and bring proven techniques and tools to our office for your benefit. Ask about the advanced technology we use, such as intraoral cameras, WaterLase™, The Wand®, CEREC® same-day dental crowns, and more! Refer a Friend and Reap the Rewards! As a special thank you to our current and new patients, we are offering a special referral reward program. When you refer a friend to Shawnee Dental, you will both receive a gift card to your choice of select local Shawnee businesses in the Shawnee, OK, area. 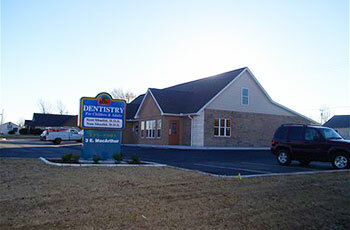 Are you looking for the right dentist in Shawnee, OK, for yourself or every member of your household? Contact Shawnee Dental at 405-275-4581 to set up a visit at our beautiful, technologically advanced, state-of-the-art facility!